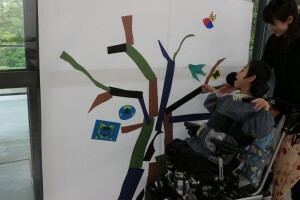 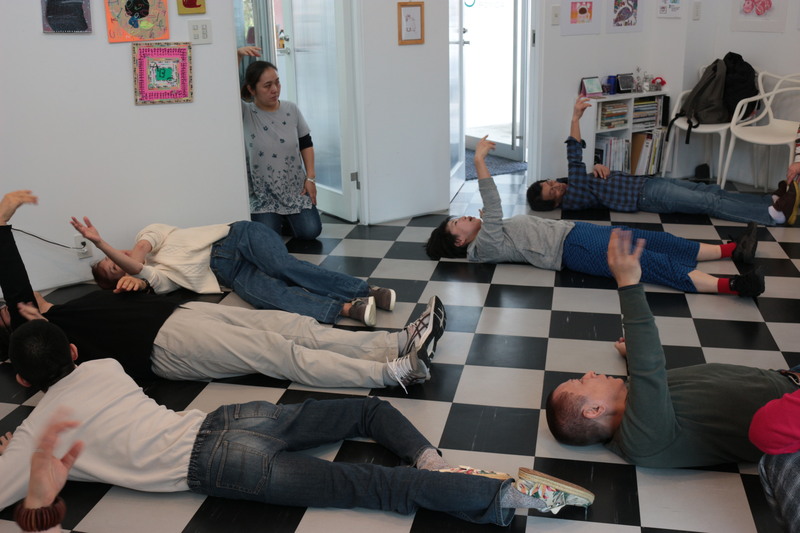 YAMASHITA Ayako visited the workplace for the people with a disability and held a workshop on 30th Nov. 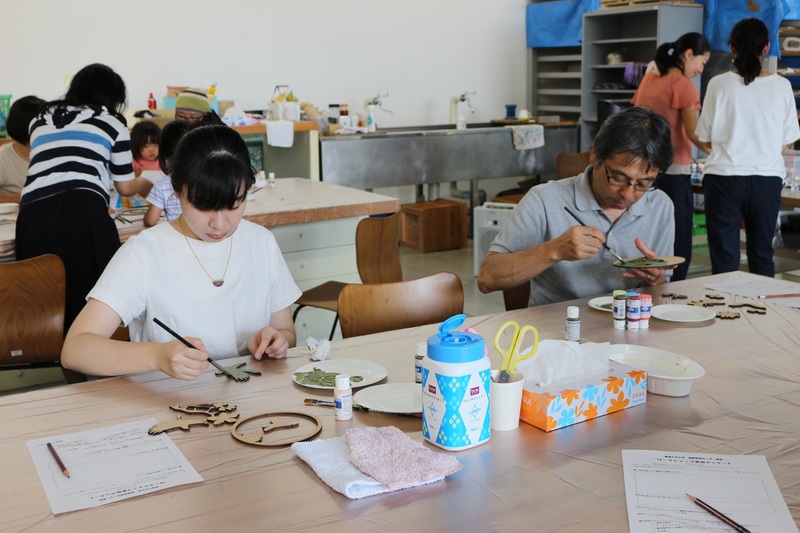 The workplace is run by Non profit organization and supports people’s creation in Aomori city. 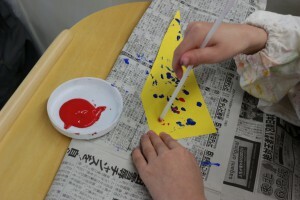 The workshop started with crapping their hands with music, then writing their name on the air, lieing on the floor, immitating the movemento of the leaves, etc and continue about 1 hour. One of the participants gave Yamashita her drawing which draw Yamashirta is dancing. 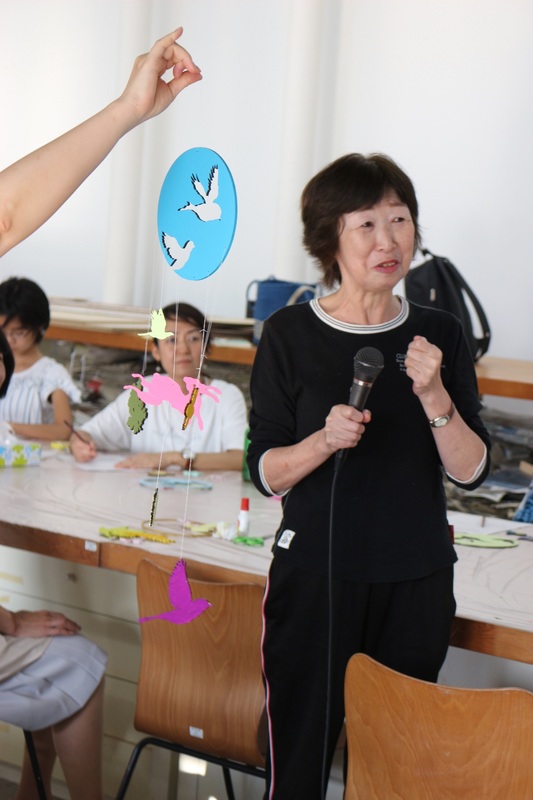 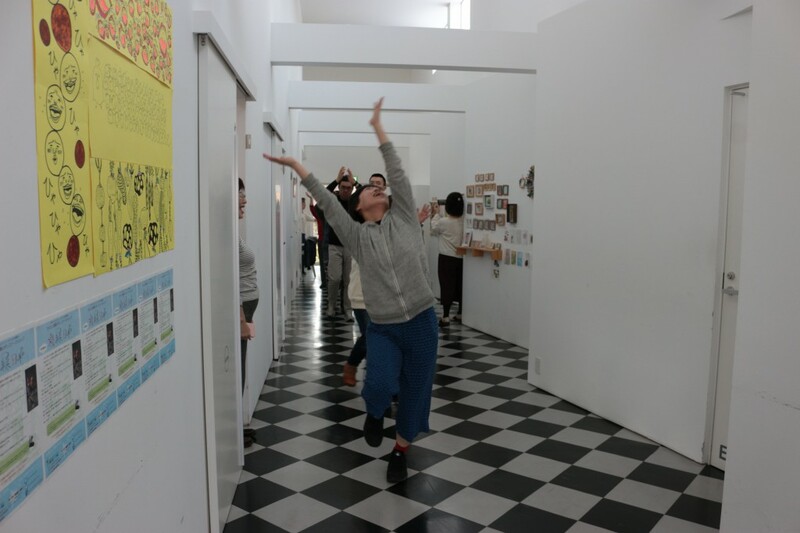 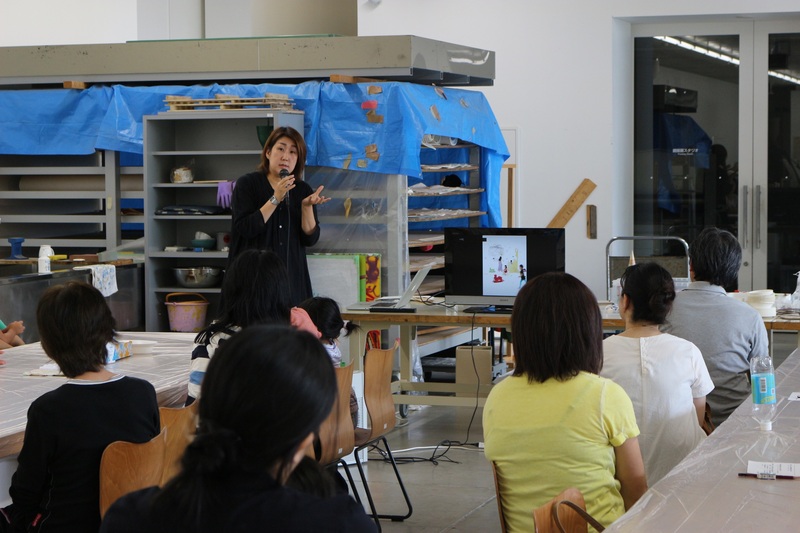 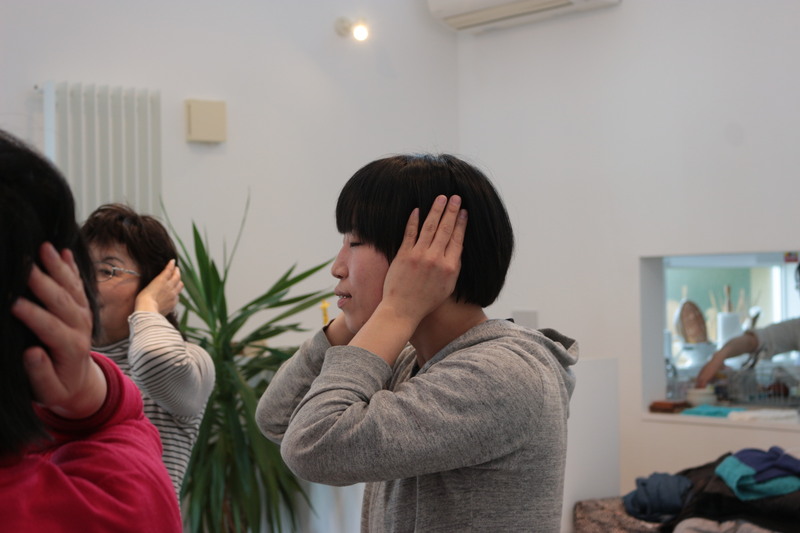 YAMASHITA Ayako held 3rd workshop yesterday. 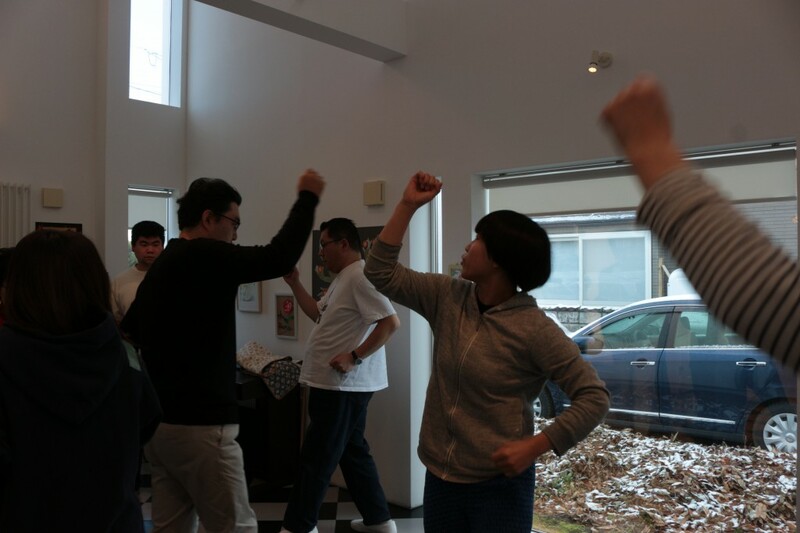 The participants haven’t experienced the dance ever, but their movement is unique because they are free from the definition of dance. 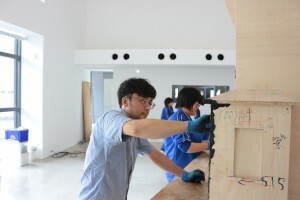 SUZUKI Motomasa has finished his construction by the woods, and started putting the cray. 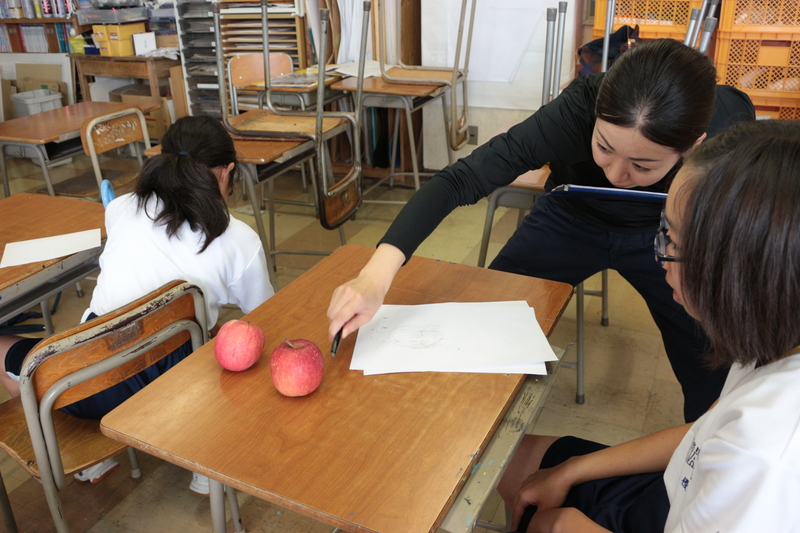 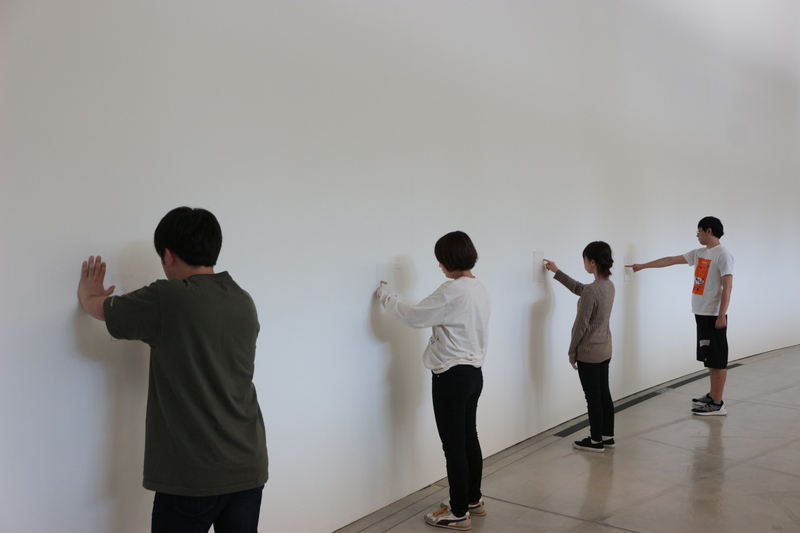 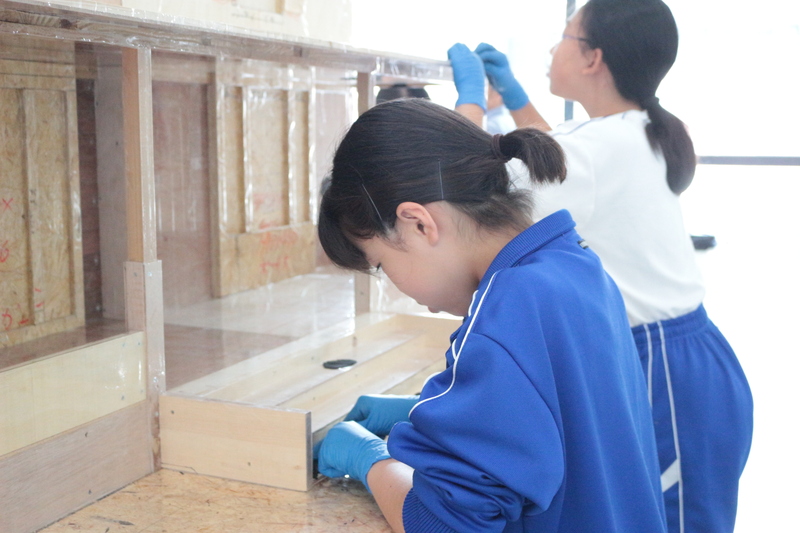 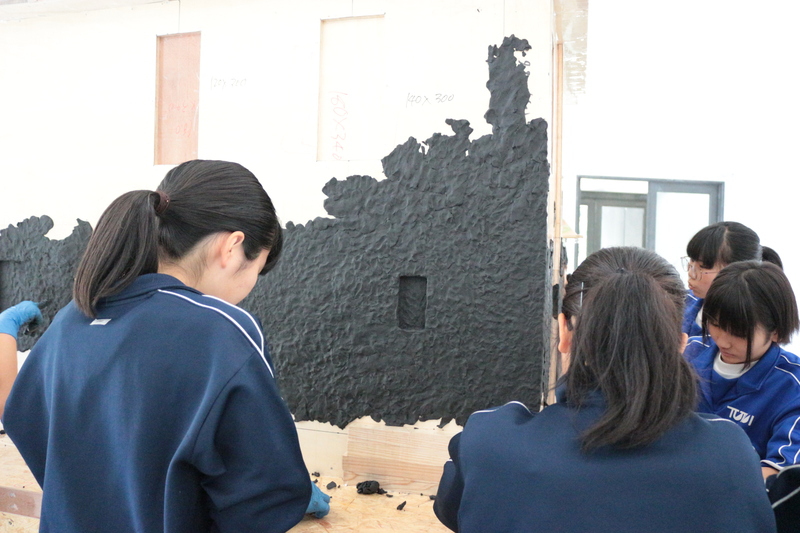 Today, the students of Tsutsui junior high school joined the work. 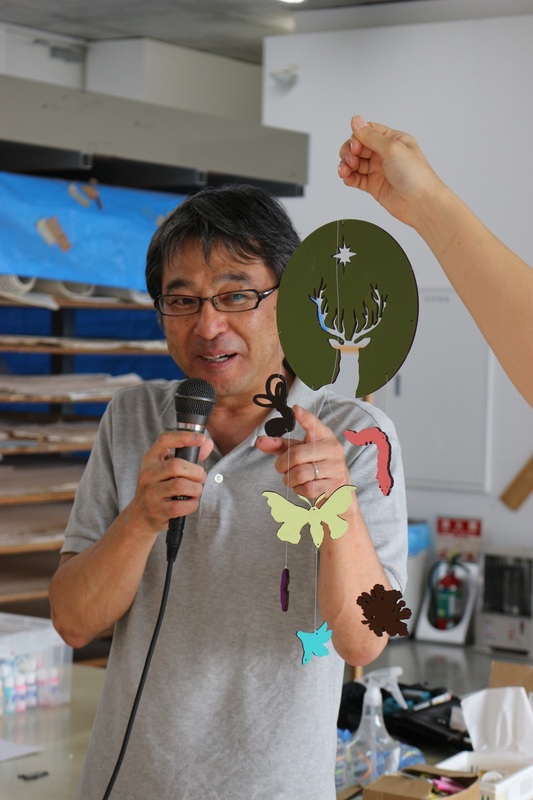 Horikawa Sunao is visiting Aomori Minami Junior High School Art Club in this month. 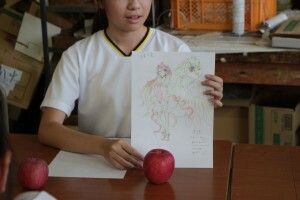 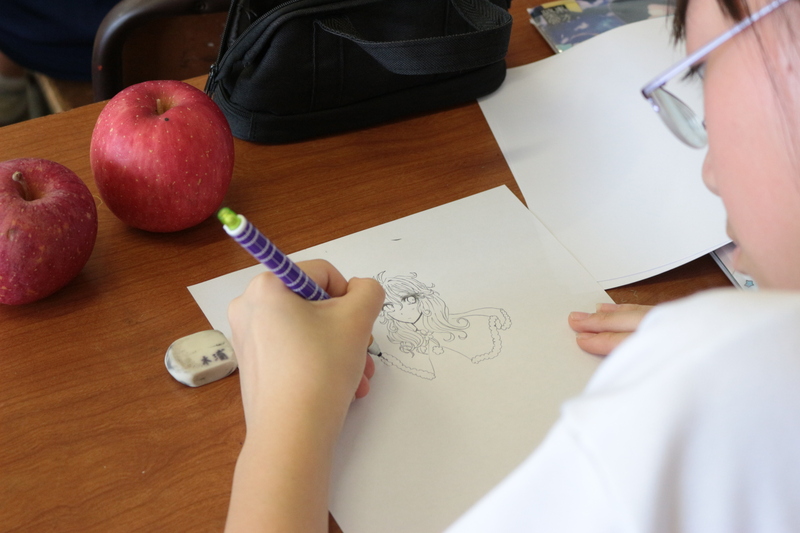 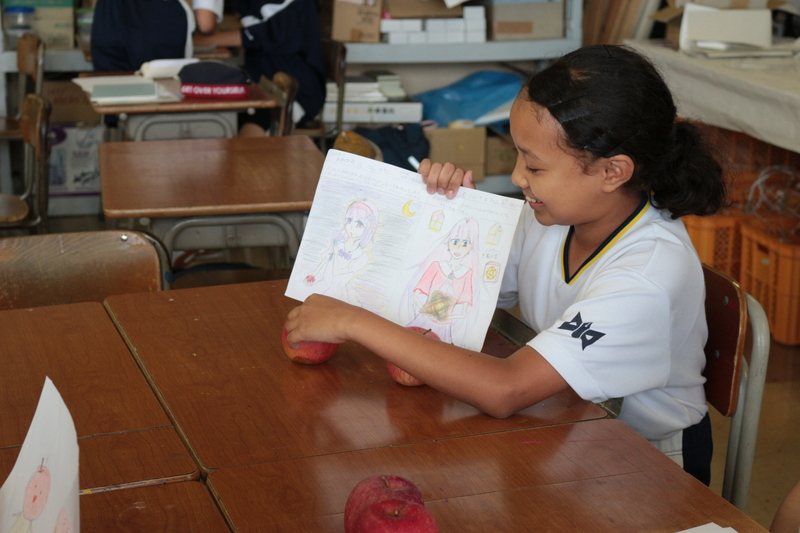 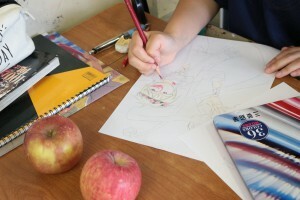 The students created original characters which were imagined by each apple. 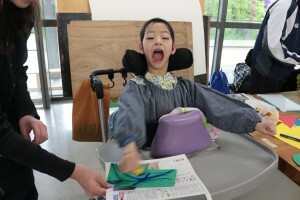 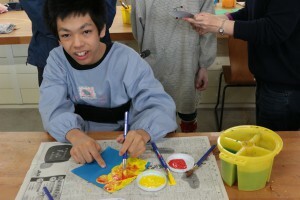 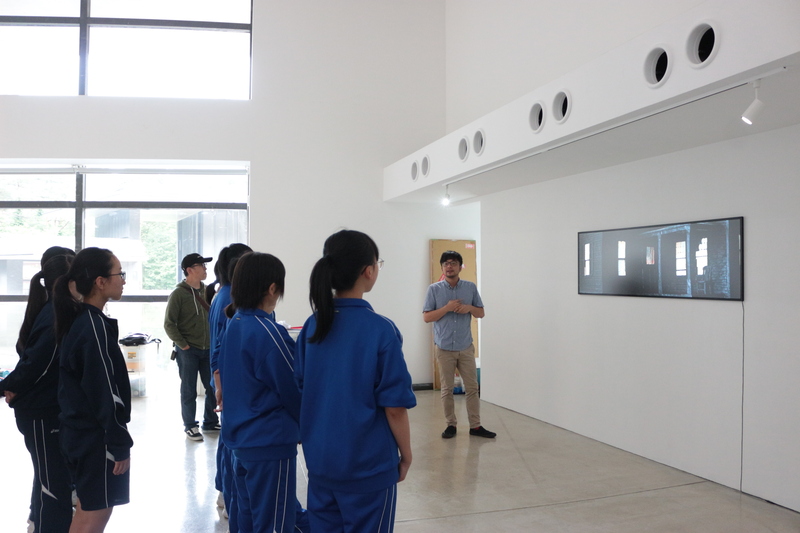 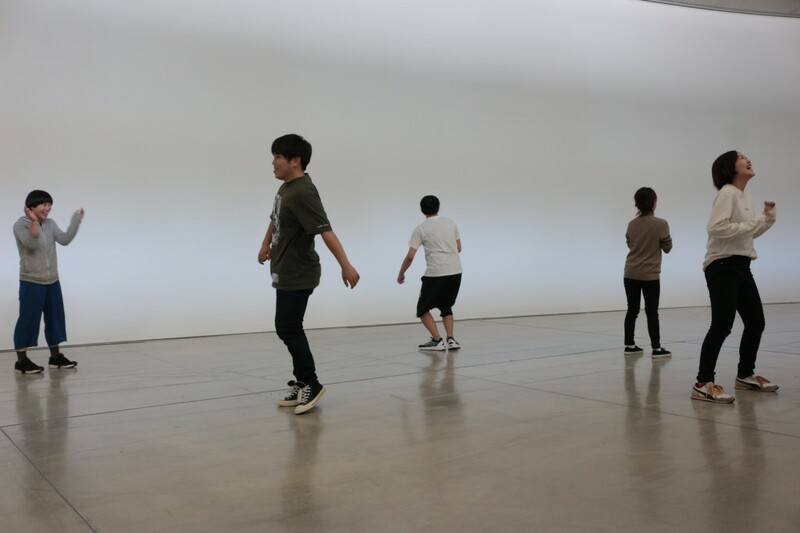 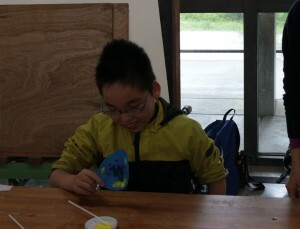 The students of Aomori Dai-ichi special school visited ACAC on 18th May. 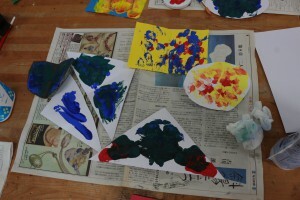 They produced big tree with blossoms or birds by the painting papers. 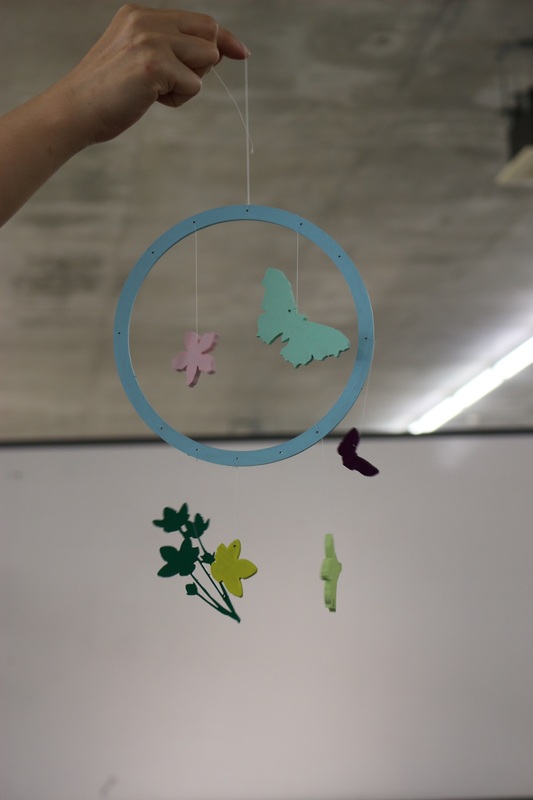 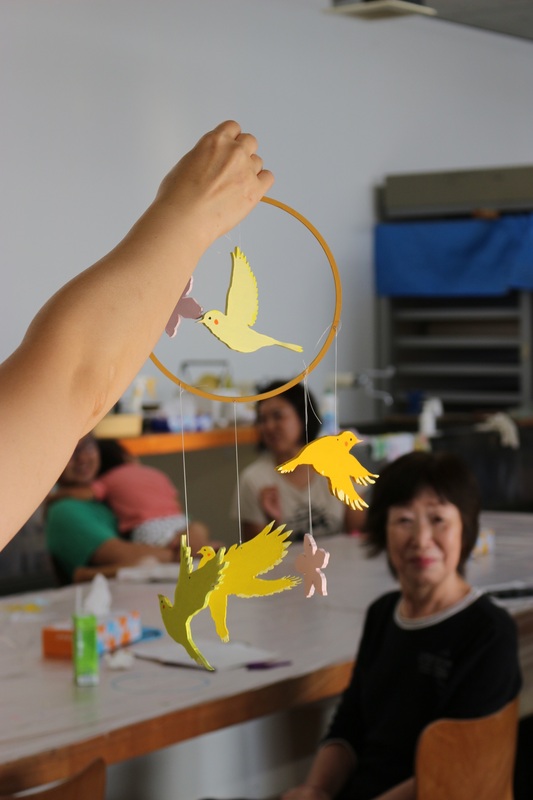 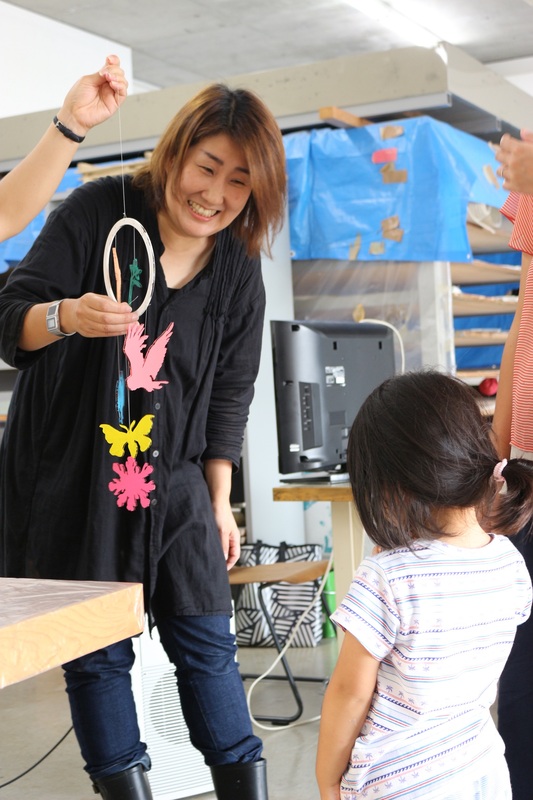 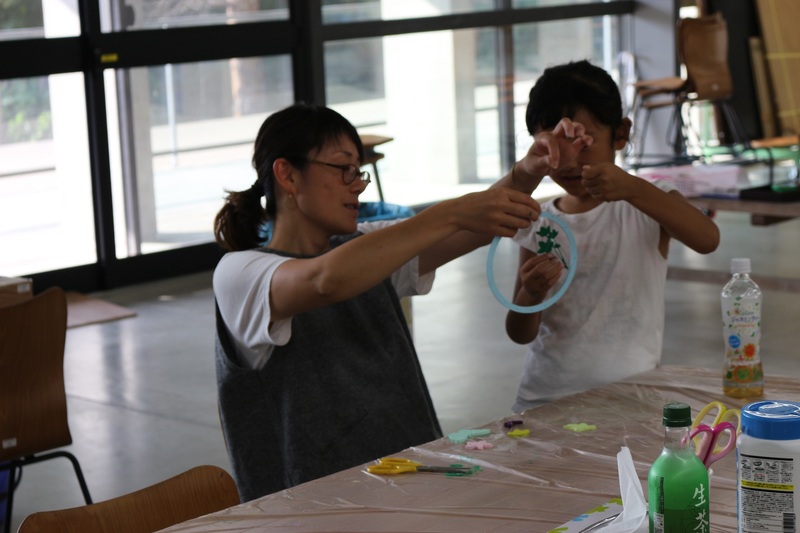 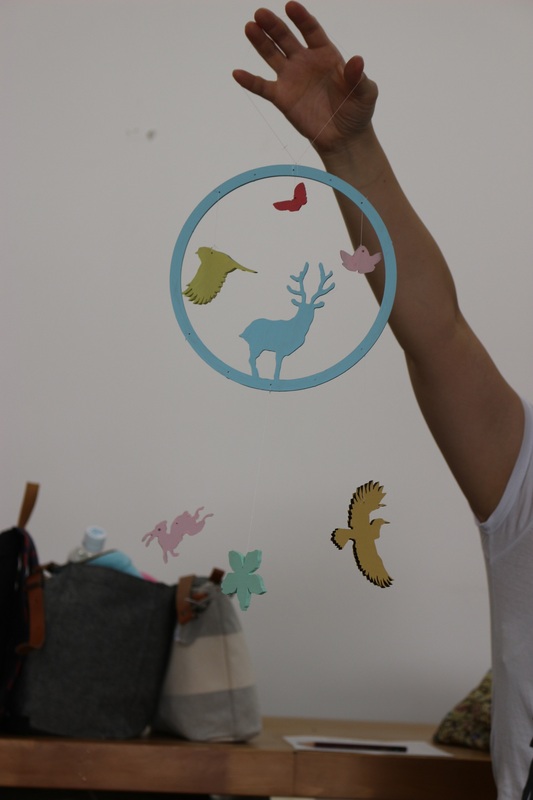 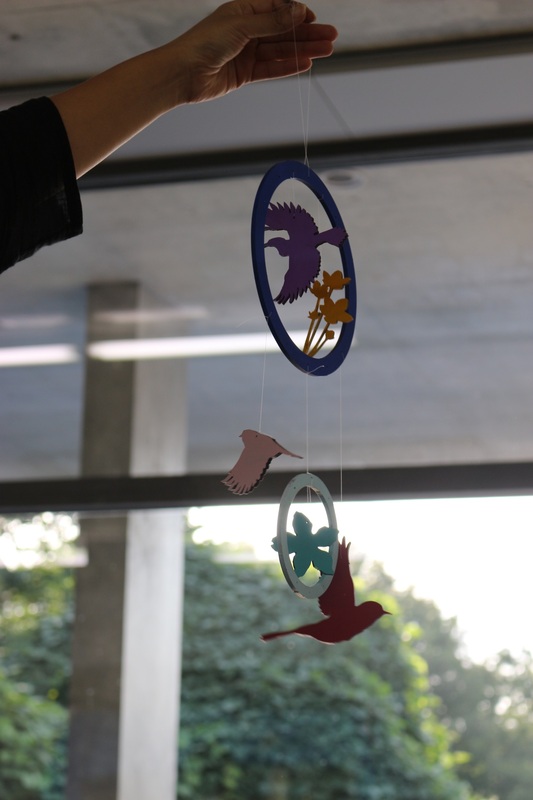 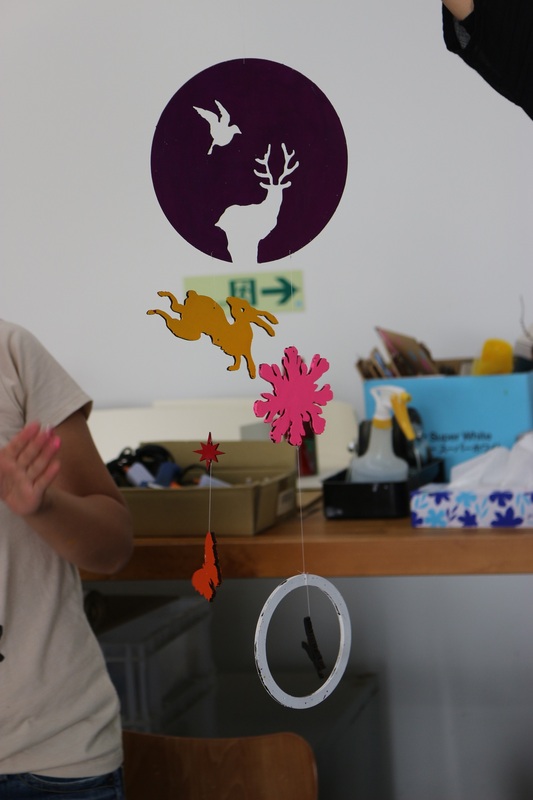 FUNAI Misa’s Mobile making workshop was held on 9th November. 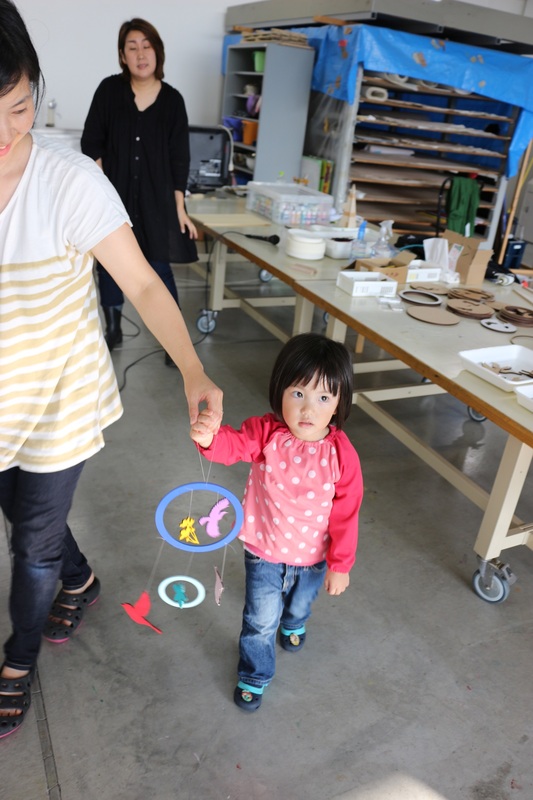 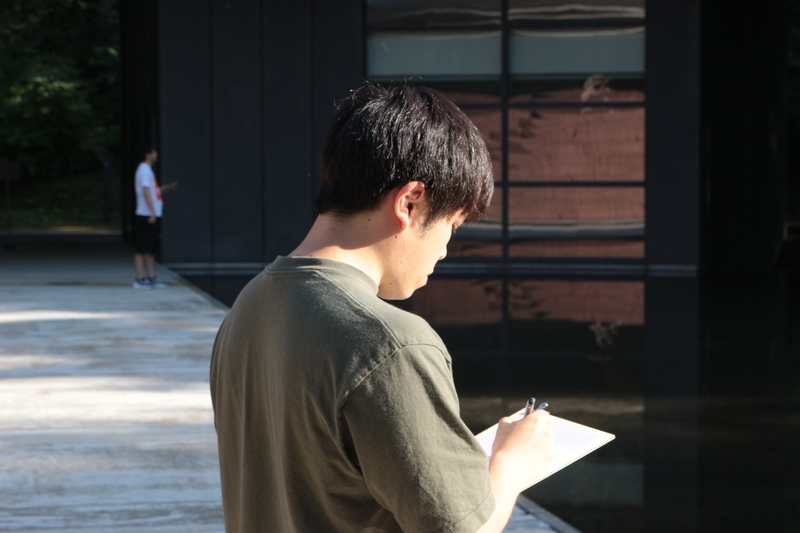 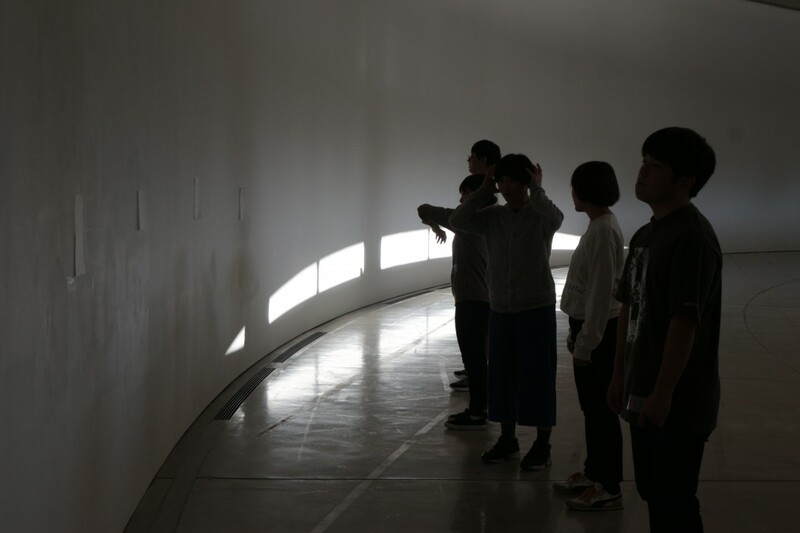 The mobile is same as Funai’s artworks which is the composition of colored plane in the space. 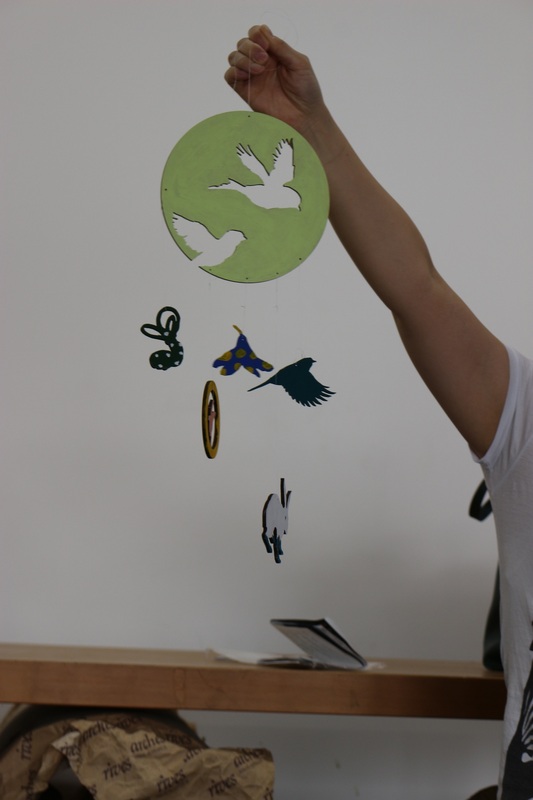 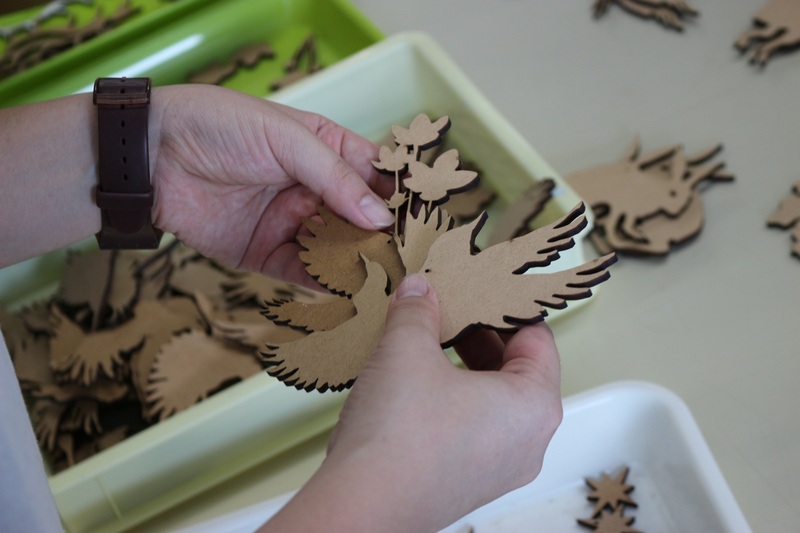 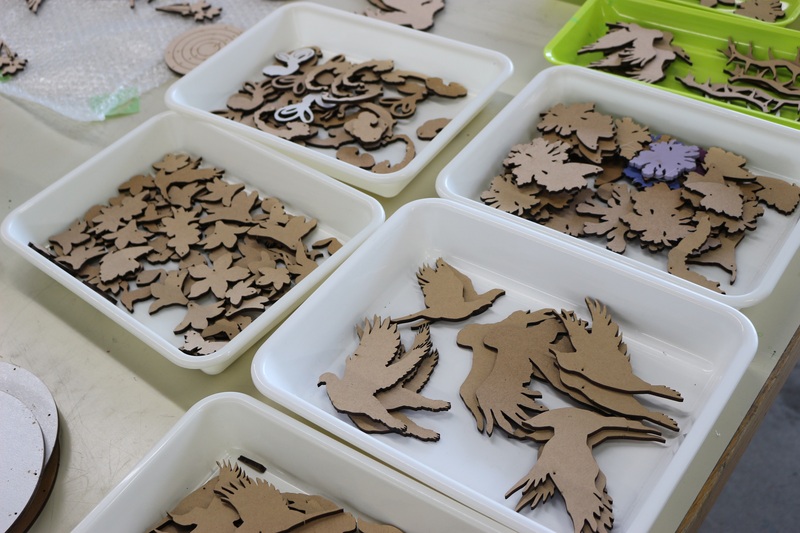 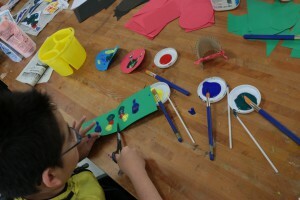 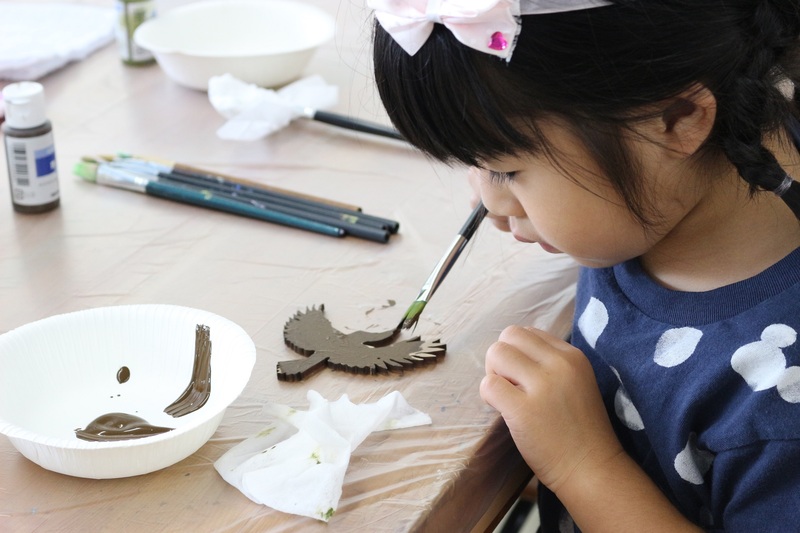 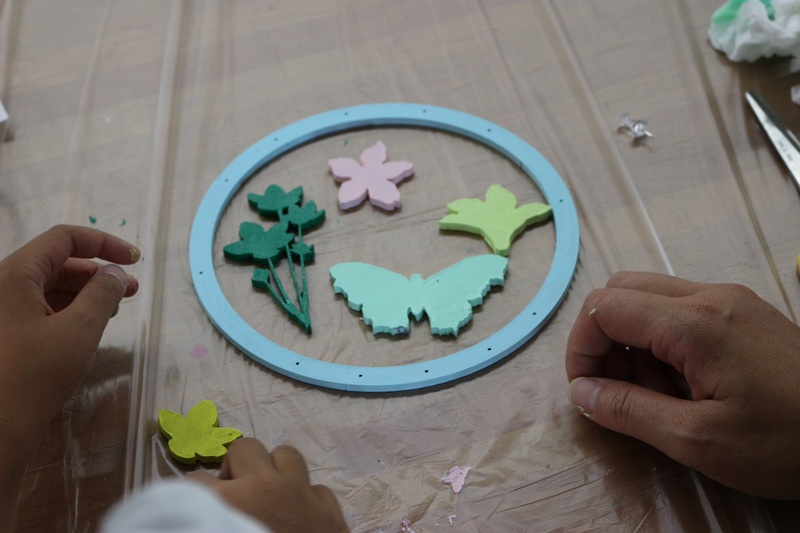 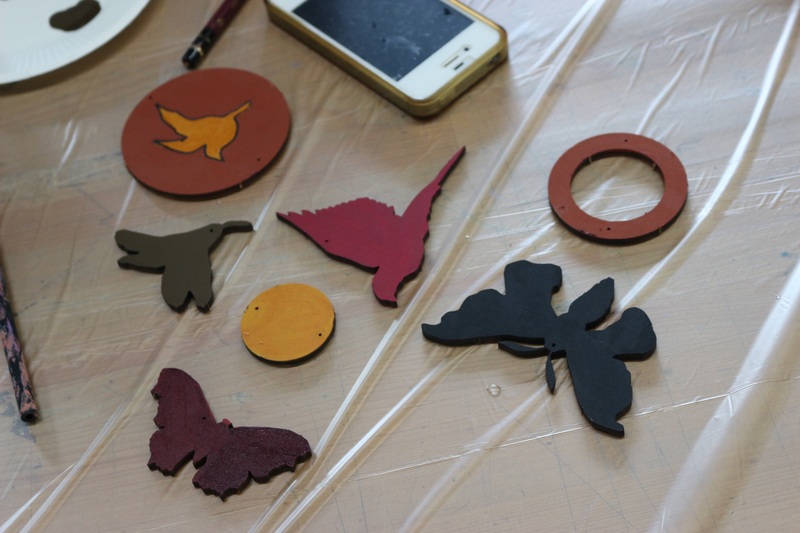 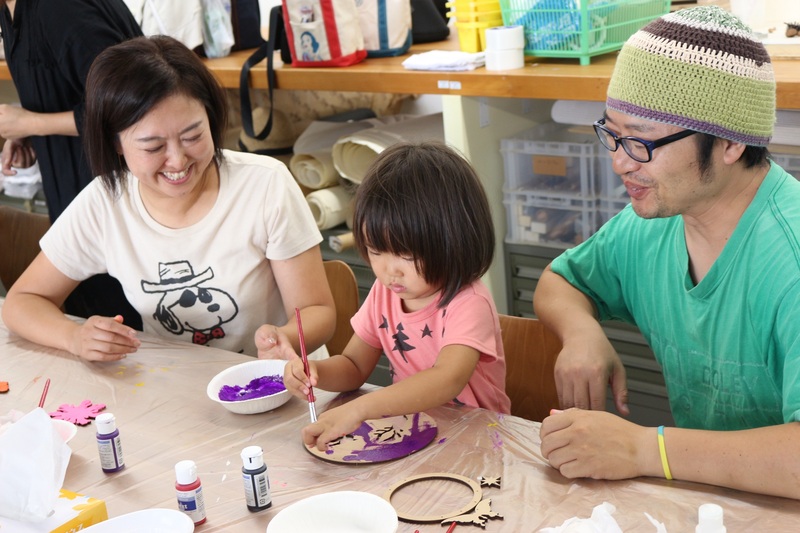 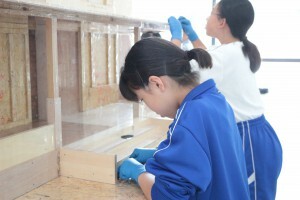 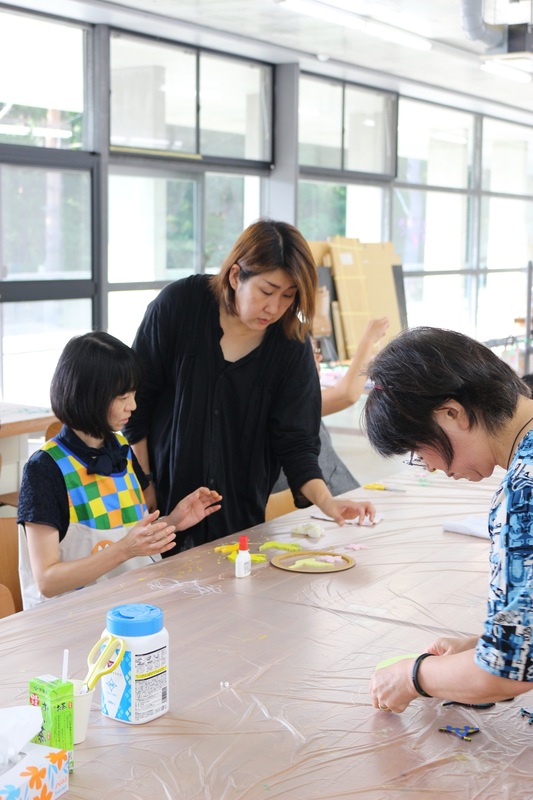 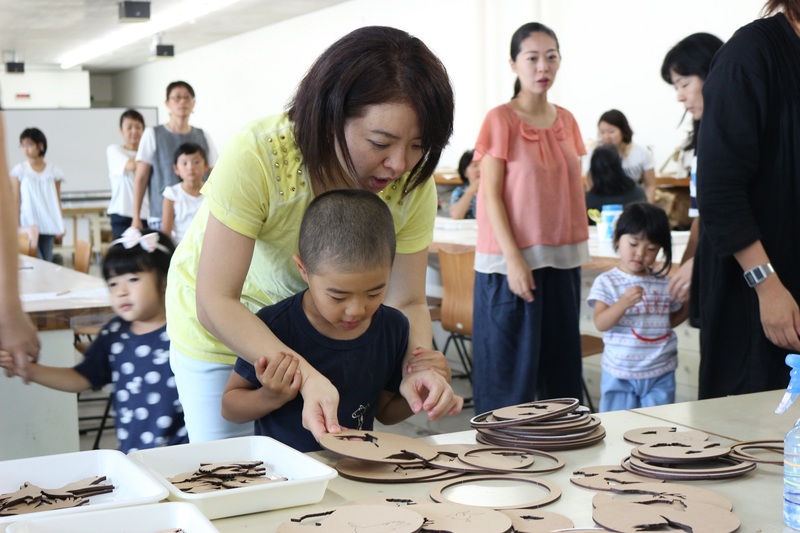 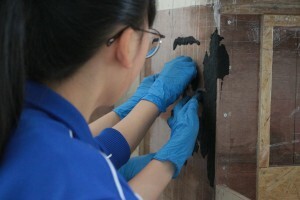 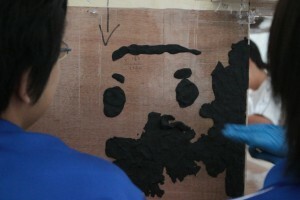 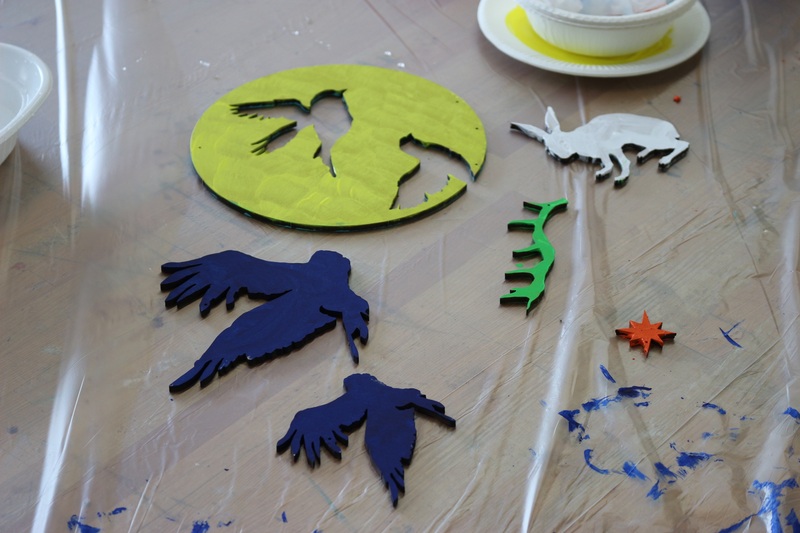 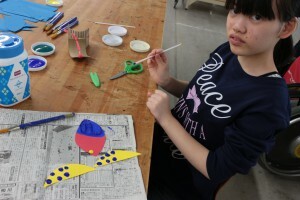 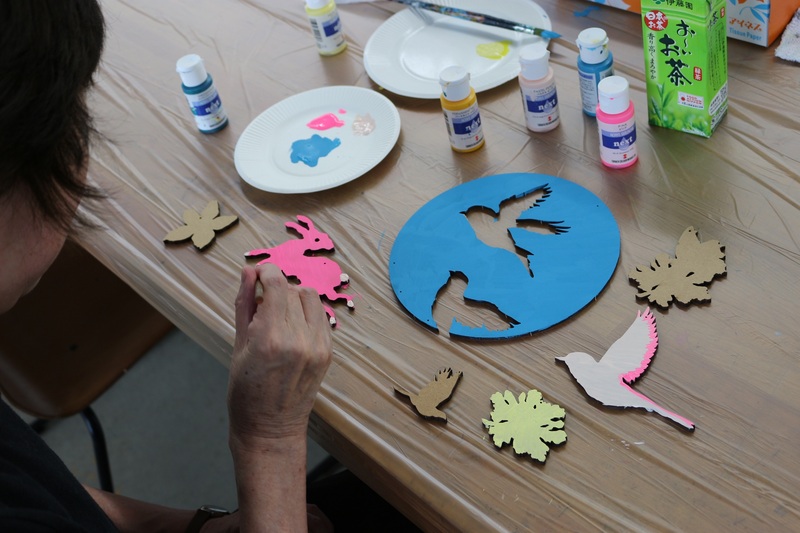 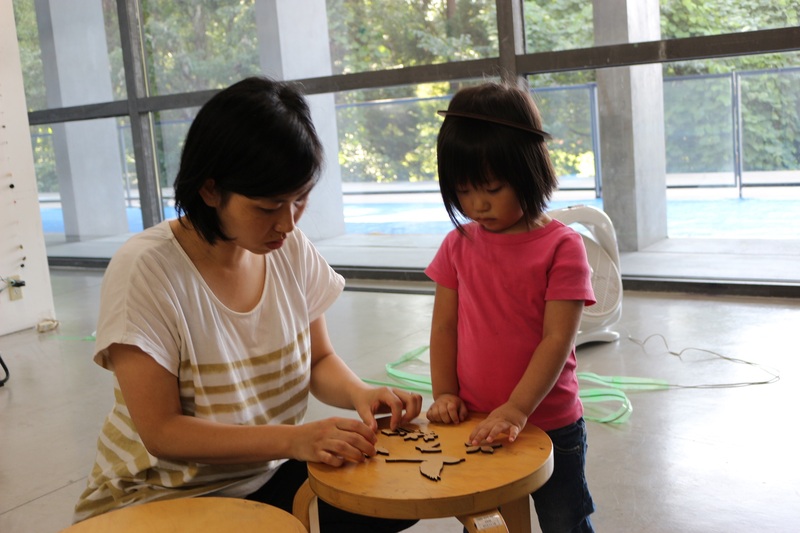 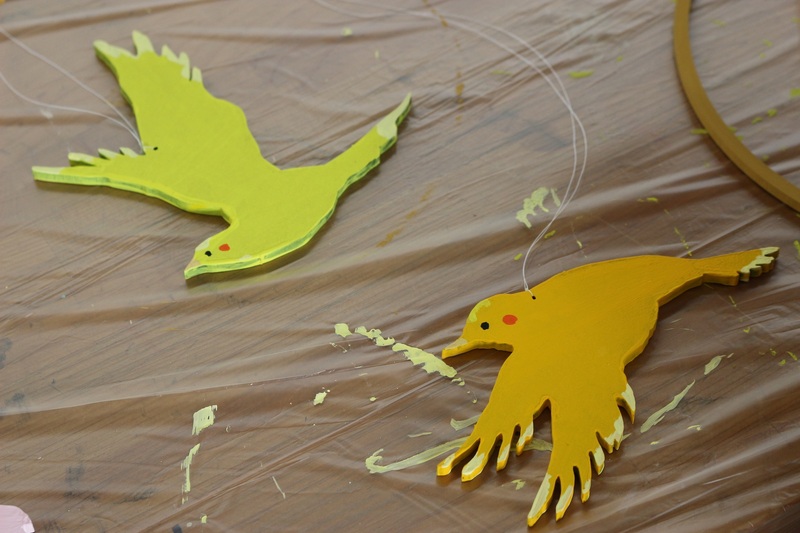 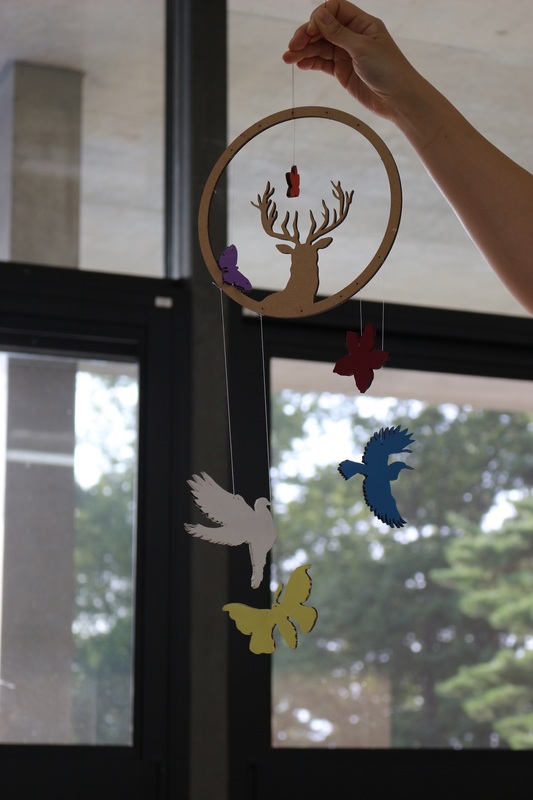 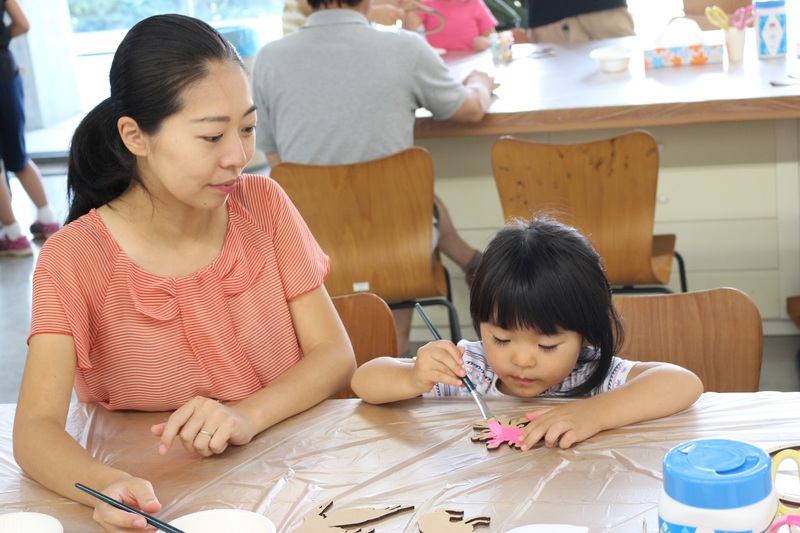 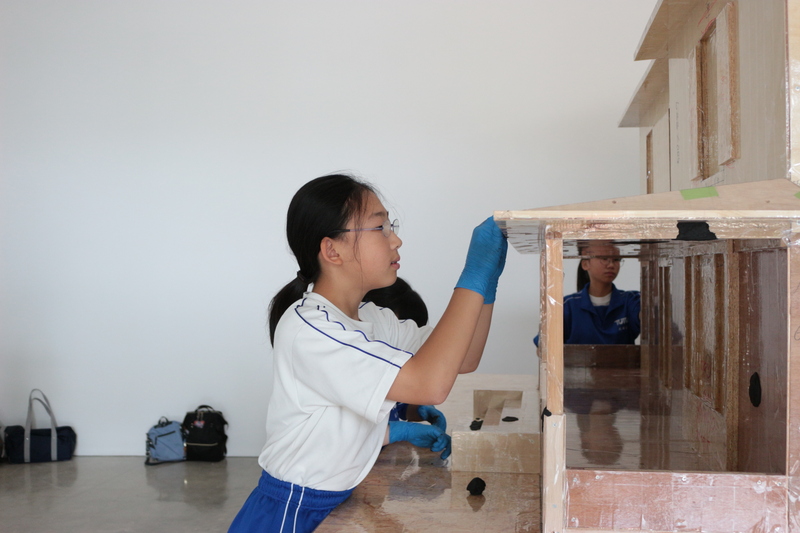 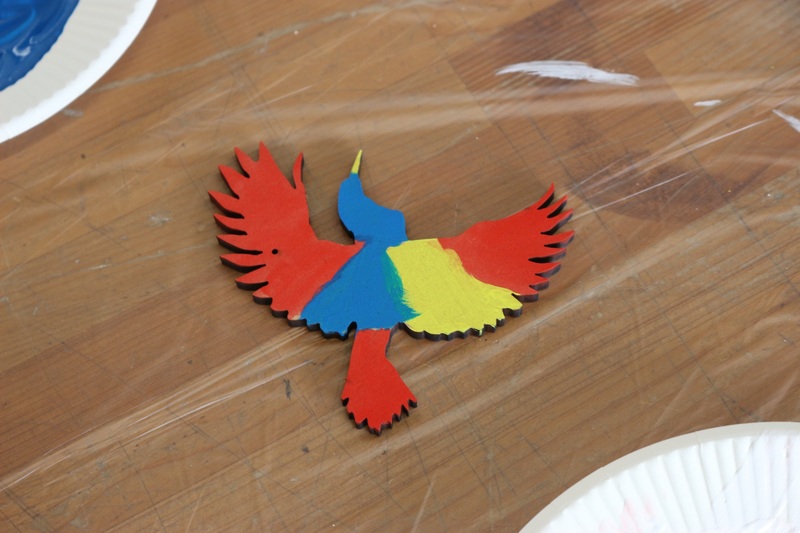 The participants select the wooden parts which shape is drawn by Funai, and paint them. 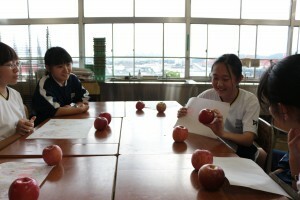 After Funai’s lecture, the participants selected 7 parts. 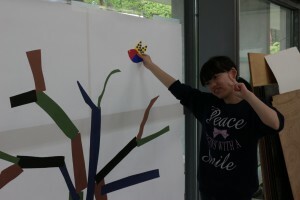 One is big and circled, and other 6 is small and shaped animal or plants. 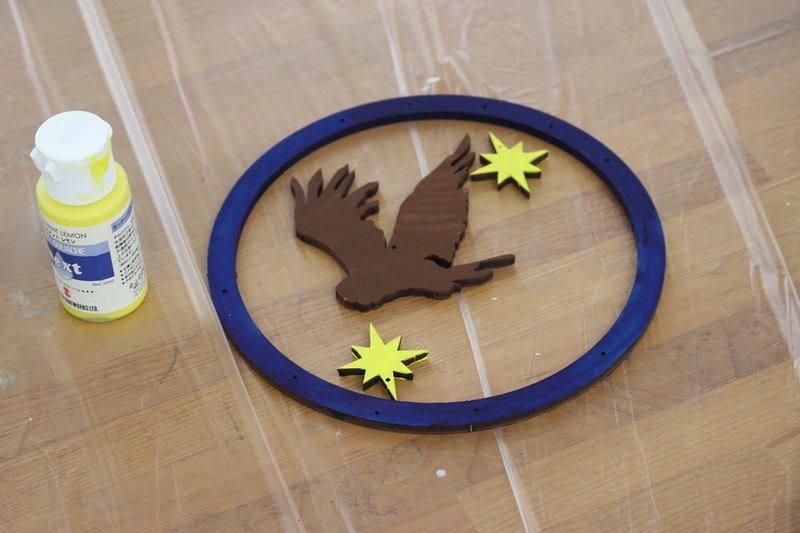 Basically, paint one color for one part. After painting, connect each parts by the thread. 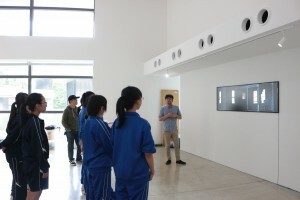 Finally, each participants showed their works. 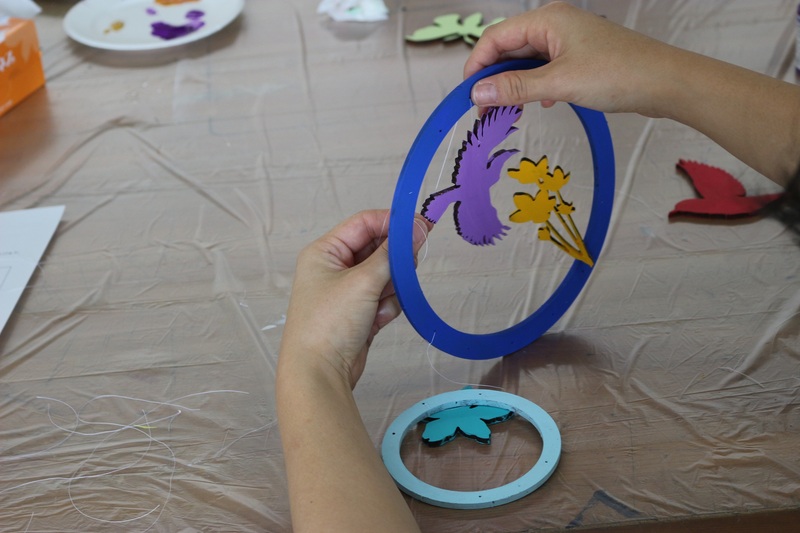 The combination of the parts and the colors effect the image of the works, also the length of the thread decide the valance, too.